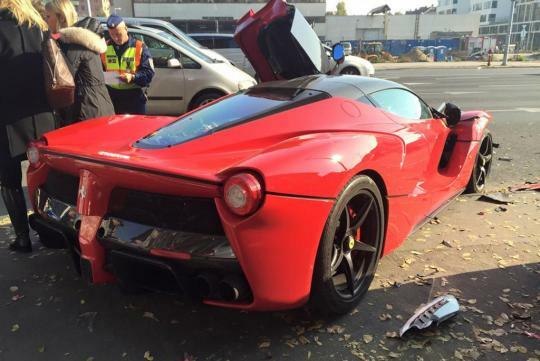 One LaFerrari driver ended up driving it into three other cars in Budapest over the weekend. 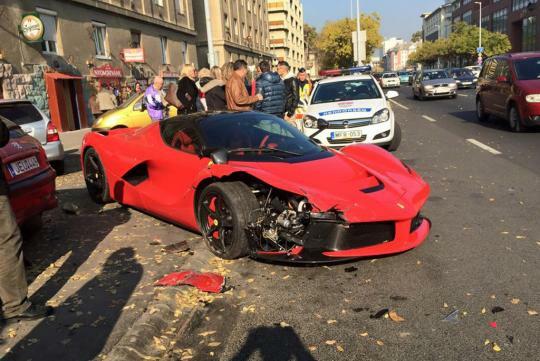 According to news reports, the driver emerged from a Ferrari dealership in the Hungarian capital and moments later lost control of the car. It ended up hitting three parked cars before coming to a stop. Fortunately no one was hurt and the damage to the car doesn’t appear too serious. No doubt it will be a costly repair bill for the insurer. This particular LaFerrari was registered in Slovakia. Immediately after the crash, the driver jumped out and removed the license plates—possibly to save himself from humiliation on Internet forums around the world. You can see more photos taken at the crash scene over at Wörthersee GTI-Treffen. 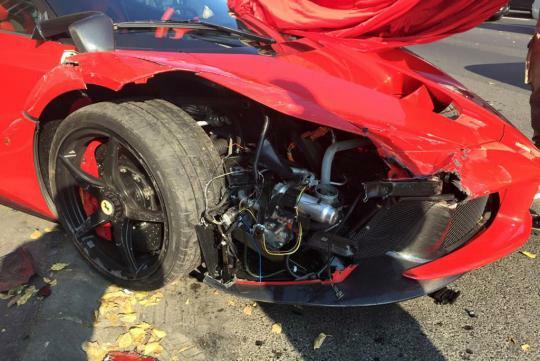 Ferrari only built 499 LaFerraris and this is the 4th known crash involving one of the cars. The first took place in Monaco almost immediately after deliveries of the car commenced back in 2014. Two more took place this year in France and China.